Gardens of the Kai #9 (3 bedr. ), Cayman Kai, Grand Cayman, B.W.I. 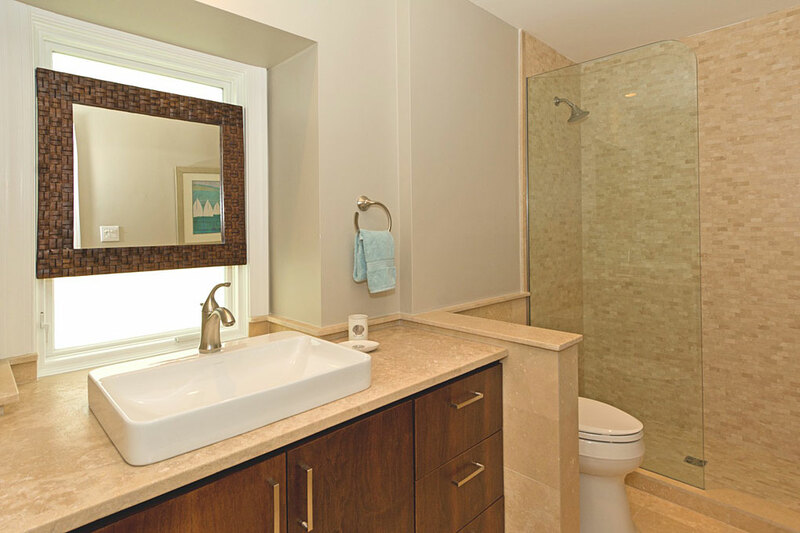 This 3-bedroom, 3-bath freestanding villa—no shared walls! 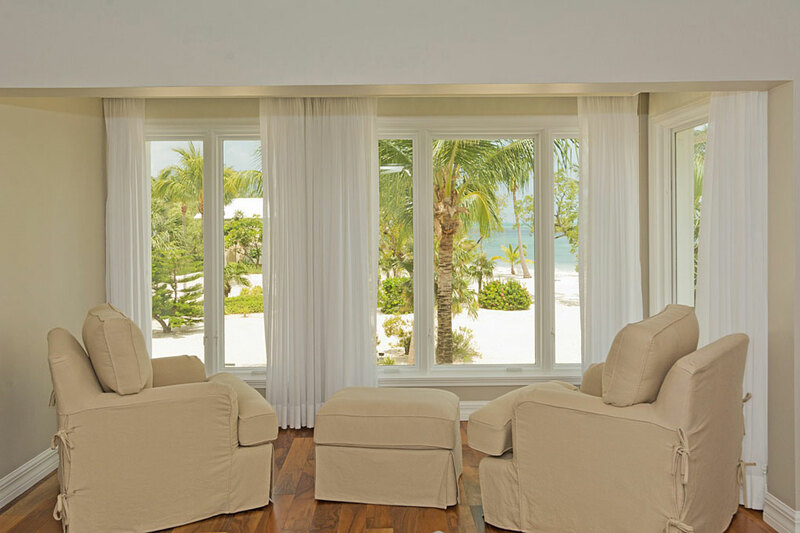 —Recently underwent a stunning remodel and now waits to indulge your group of no more than 6 adults and 2 small children for a total of 8 persons. 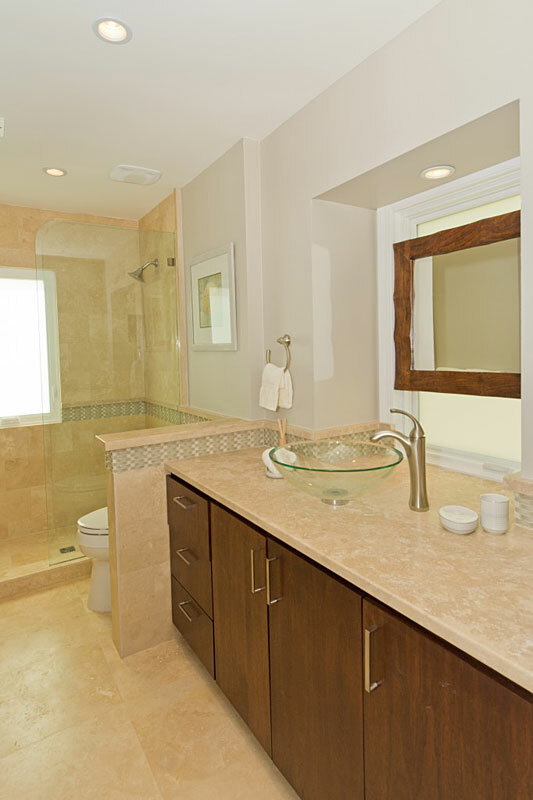 With luxury linens, warm wood floors, a gleaming gourmet kitchen, and spa-like contemporary bathrooms you are sure to enjoy the beauty of this home. 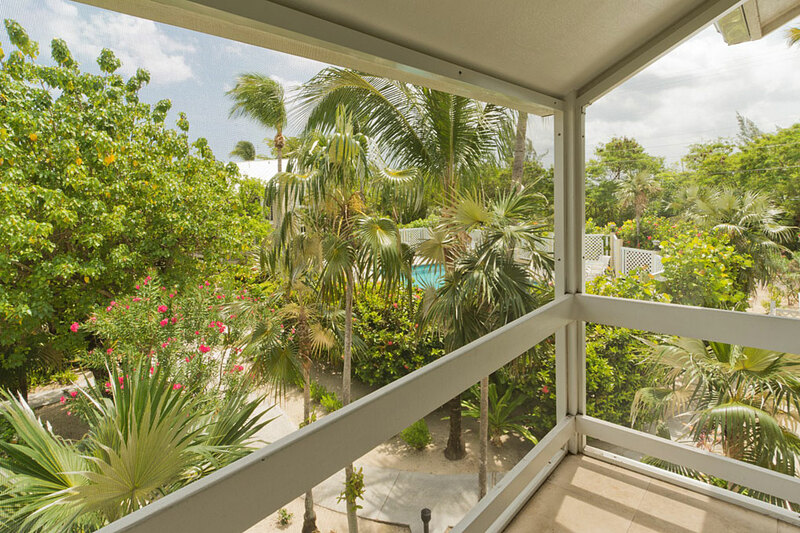 Even better: Gardens of the Kai #9 is tucked into intricate, sweet-smelling tropical landscaping just steps from the calm Caribbean Sea in Cayman Kai. 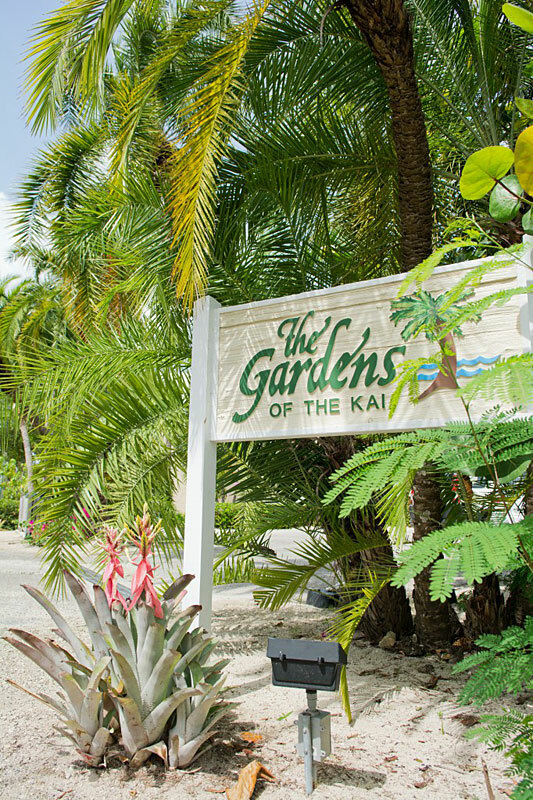 Here at Gardens of the Kai, paradise is everywhere! 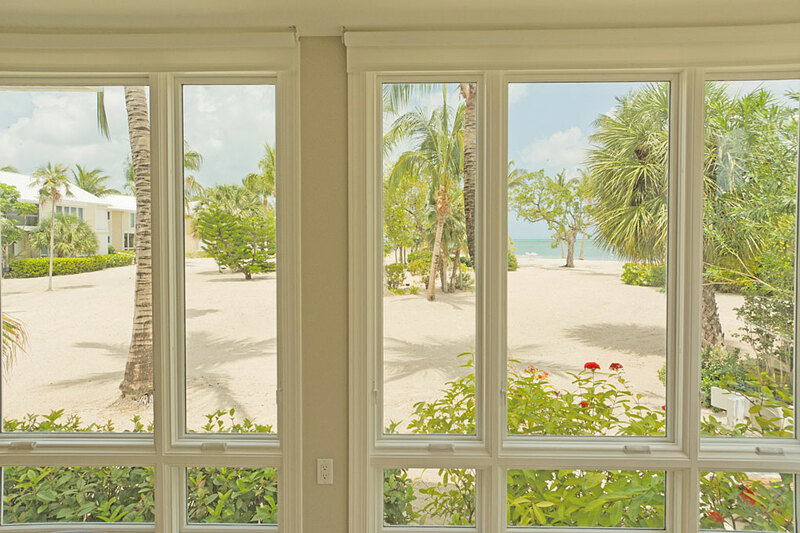 The living areas and the Master bedroom both have water views framed by lush tropical foliage. 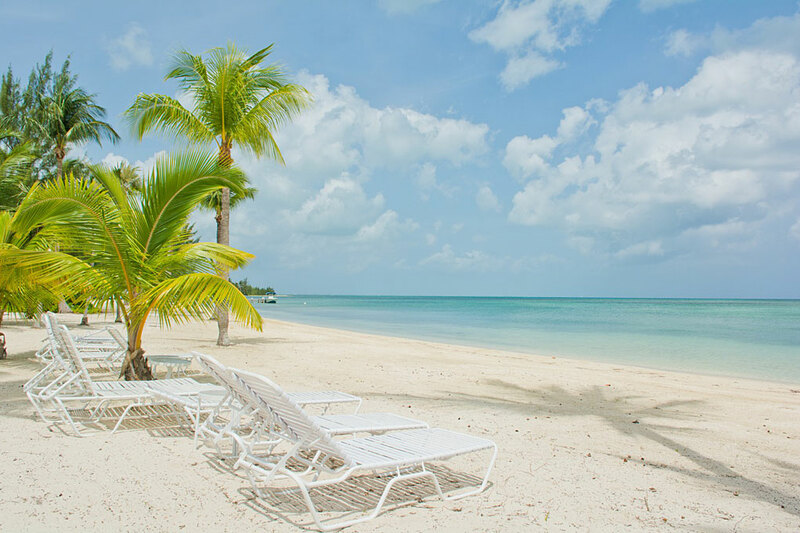 And the villa’s location, in the quiet, upscale residential area of Cayman Kai, situates you just across the street from the Kaibo Yacht Club, where you can enjoy casual dining on the beach or gourmet cuisine at Upstairs Restaurant. 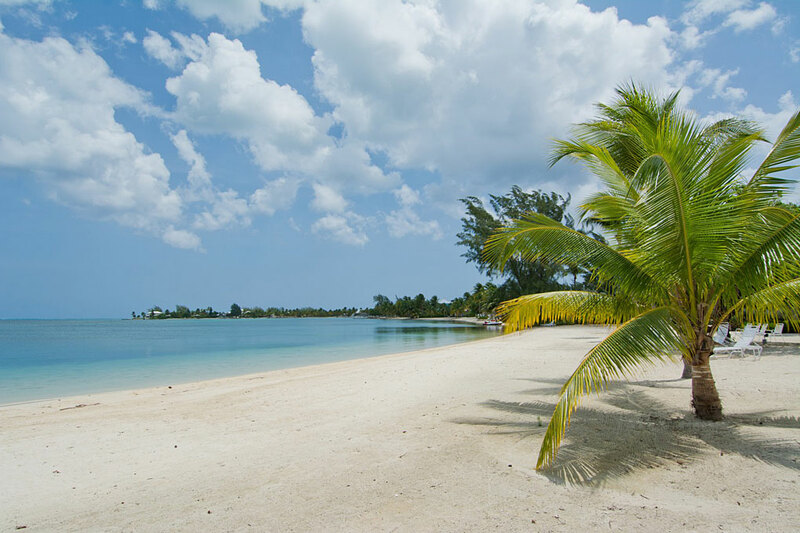 For some wonderful snorkelling and other water activities—plus more food options and a beach bar—head to the iconic Rum Point, just one mile from Gardens of the Kai. 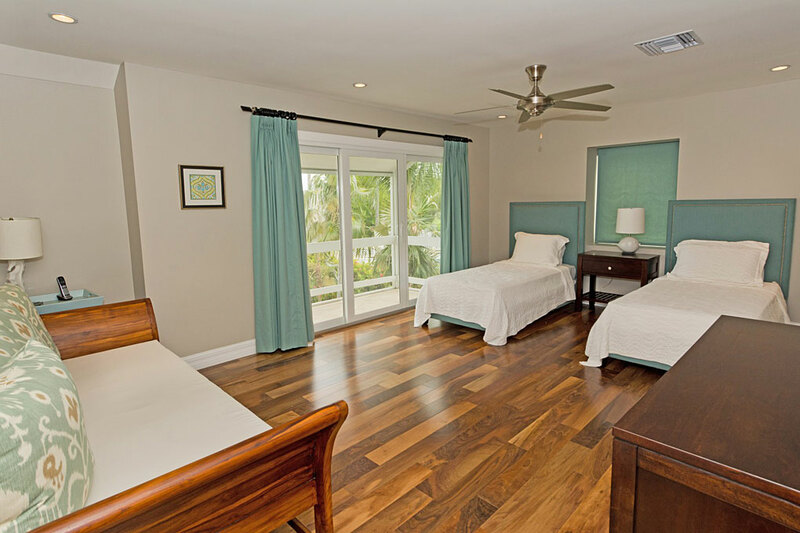 Every room at Gardens of the Kai #9 is brimming with standout features. 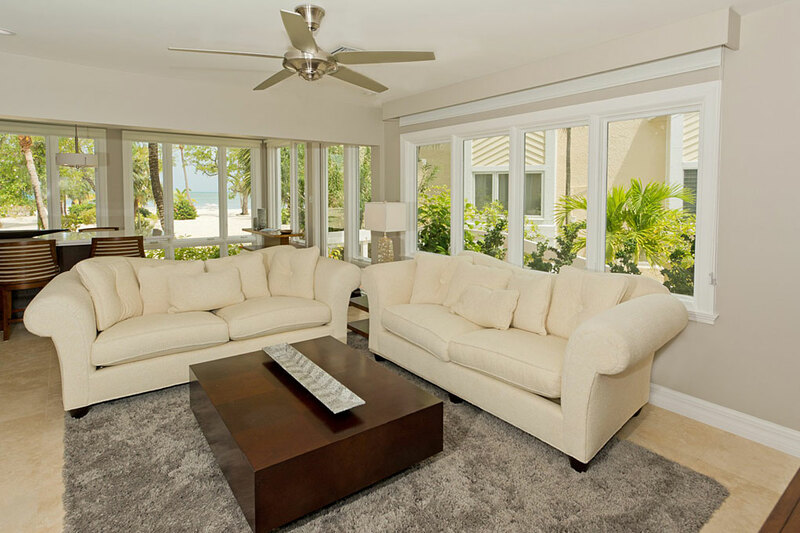 In the sunroom-style living area, which is surrounded by windows, you not only get views of tropical landscaping and the sea beyond, the plush white sofas will envelop you like a cloud. 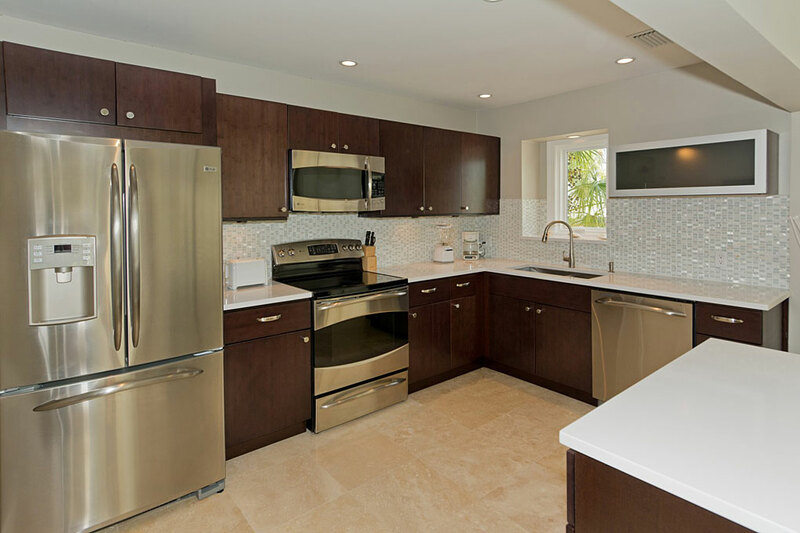 The kitchen dazzles with gourmet stainless steel appliances. 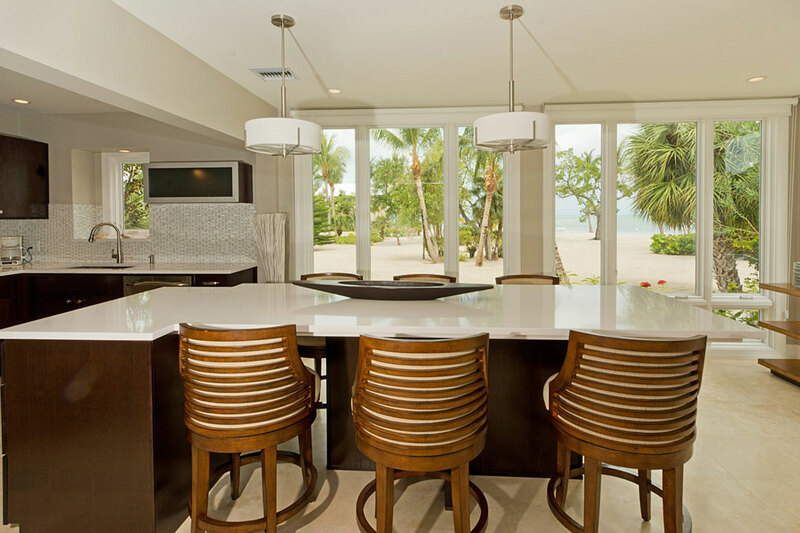 The sea-view dining room sets the stage for an impressive meal at a contemporary and comfortable dining table lit by the glow of modern light fixtures. 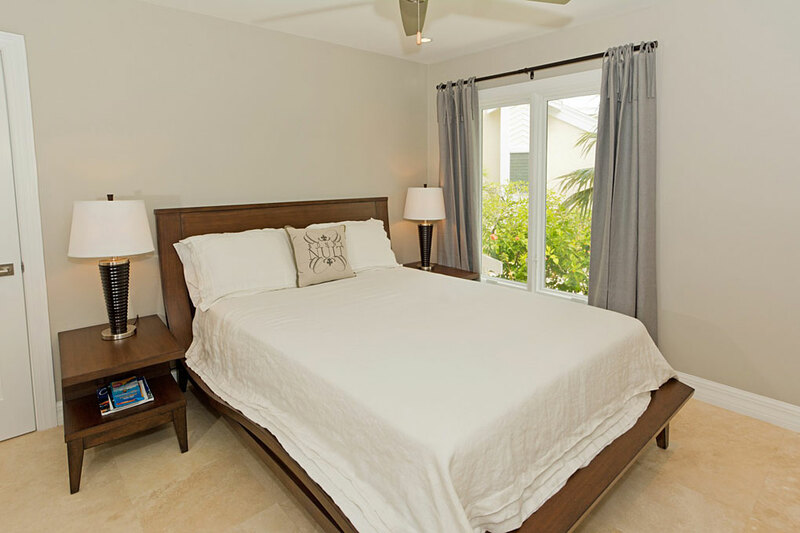 And the bedrooms and bathrooms provide a five-star sleeping experience that even most hotels can’t top. 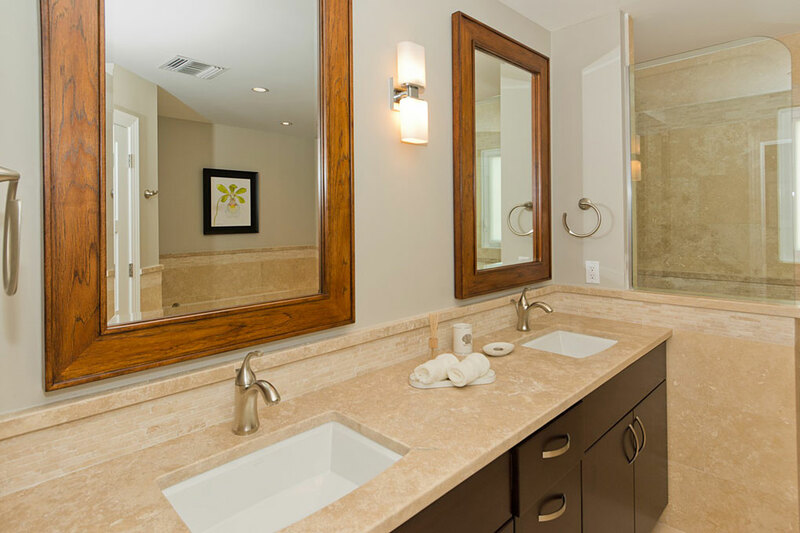 You’ll find luxury linens on all the beds, separate sitting areas for reading or private conversations, and contemporary vanities and walk-in showers in each of the bathrooms. 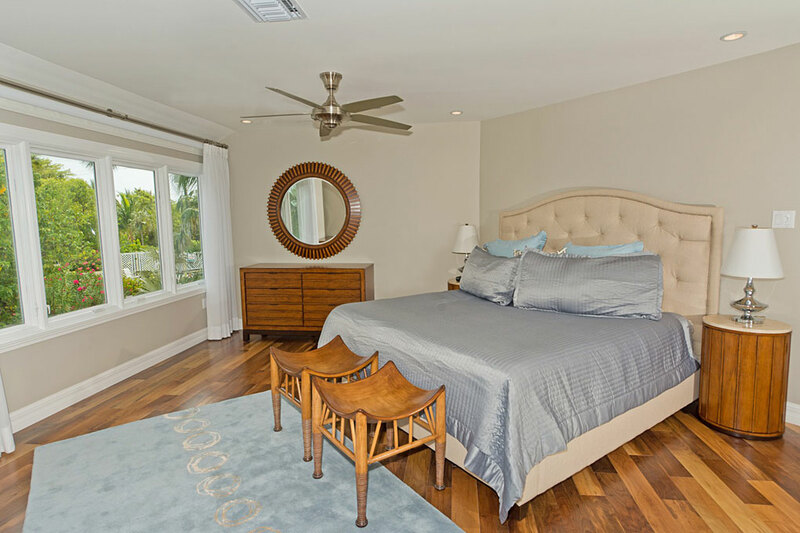 Beds include one king, queen, 2 twin beds that share a bedroom with a daybed. 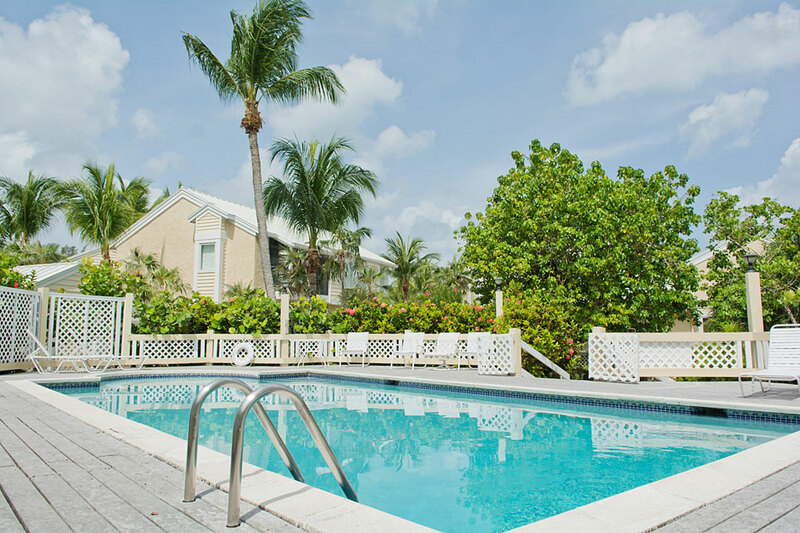 A community pool and a flawless, private, soft-sand beach round out the unforgettable experience waiting at Gardens of the Kai #9!